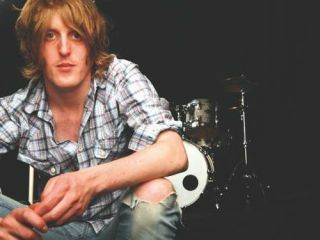 Razorlight drummer Andy Burrows has quit the band, after five years. Burrows told NME: "The past five years in Razorlight have been an amazing experience. I am very proud of everything that myself, Johnny (Borrell, guitar/vocals), Carl (Dalemom, bass) and Bjorn (Agren, guitar) have achieved together, but for personal reasons I have decided to leave the band. I will be pursuing other musical ventures". Frontman Johnny Borrell said: "Over the last two albums and five years Andy has been an integral part of Razorlight and we will miss him. From the day he walked into our rehearsal studio it was obvious that he was an amazing drummer and he's contributed on many levels beyond that. "He's been a great player and a great friend and I think we'll both always be proud of the music we've made together." "It can be tricky being in a band"
"He's a real pop star. There's not very many pop stars who are considered to be the nicest person… It can be tricky being in a band, you spend an unnatural amount of time with each other." Burrows is thought to be the main writer behind Razorlight's biggest hit, America. Razorlight have already replaced Burrows with David Sullivan Kaplan. Sullivan Kaplan was previously a member of NYC band Men Women & Children. Of that band, Sullivan Kaplan said: "We listen to everything from Kraftwerk to Chick Corea's Return To Forever to Prince to Earth Wind And Fire to Devo. Millions of things." Which could make him an interesting addition to Razorlight?